30th January 2016; 65 years since the assassination of Mahatma Gandhi, we ask what he can teach us about leadership. “Those with self-control don’t need to control others”, so said Mohandas Karamchand Gandhi. Gandhi was awarded the honorary name of Mahatma meaning Great Soul in Sanskrit, the Dalai Lama asserted he was the founder of the modern tradition of non-violent action through his efforts in setting India on the road to independence from British rule. Yet turn the coin and Gandhi was also a practiced lawyer, a rebellious youngster, and stated that he often got his best bargains from behind bars. Today we ask, can one ever truly lead without controlling or is it simply a case of the wrapping? Gandhi, was educated in both India and England, and spent 21 years practicing as a Lawyer in South Africa which included four spells in prison for his attempts to stand up against discrimination. On his return to his homeland in 1915, Gandhi’s aim was a tolerant self-governed democracy for India and his plan was satyagraha or pursuit of truth through non-violent means. But Gandhi’s mission was enormous, to motivate and influence a nation across ethnic lines and, in-keeping with the ethos of satyagraha, his means of doing so were arguably limited. Despite this, much was achieved; Gandhi’s salt march of 1930 lit the match that would ultimately ignite the fire of independence some 17 years later. And so we ask, what is control? In terms of leadership, control can be a means of influencing behaviour. A leader may attempt to control through structures, rules and procedures, none of which are particularly motivating. They may also control through values and beliefs, say by instilling a strong work ethic and a positive attitude to the brand. These examples, if not taken to extremes, can be considered as normative levels of control. On the far side of the control spectrum though sits excessive control whereby those in leadership positions might seek to use their power to dominate others. This unpleasant side to control is what often overshadows its gentler twin, tainting its reputation. It could be argued that Gandhi did in fact use control to influence, albeit the softer version, when he brought the masses on-side with his values and beliefs. In Gajera, about to give a speech to the assembled persons and noting that there were none of the socially disadvantaged ‘untouchables’ present, Gandhi refused to speak until this was redressed. In doing so, and in reinforcing his values and beliefs he was able to influence others, and yes to control others. In this matter, as in his main battle for independence Mahatma was always very clear in his beliefs; it was not a rival race that was being opposed but injustice. He was against child marriage, the dowry system, corruption and caste violence. This is something that we can all learn as leaders; once you have identified your values and beliefs, hold firm to them and ensure that they are clearly communicated to your followers. Enable followers to see the benefit to them and to the organisation in supporting these values and beliefs. And when a challenge to these values and beliefs raises its head, and it will, be ready to defend them. Sadly on 30th January 1948, just one year after the creation of Pakistan and Bangladesh (not Gandhi’s goal but nonetheless independence from colonisation), Gandhi was shot whilst attending a meeting of prayer against race violence in New Delhi. Mahatma Gandhi achieved much in his lifetime and is still remembered for his services to India and his approach to leadership which revolutionised approaches to conflict. 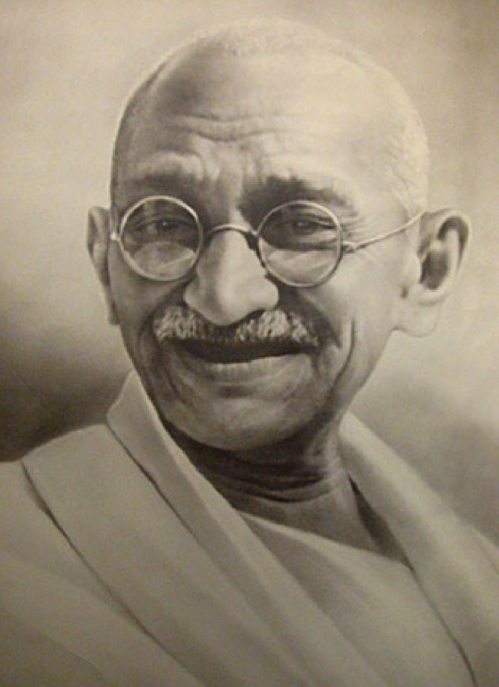 Gandhi can teach us that when it comes to leadership, control needn’t be a taboo word. When exercised by a Great Soul, it can motivate and inspire the masses. It can change the course of history.